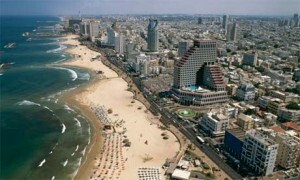 We’re really excited by Lonely Planet’s pick of Tel Aviv as the #3 city to visit this year, albeit, we are not shocked. Tel Aviv is super cosmopolitan, culture-rich, bustling with day and nightlife, both modern and historical, and has places for us Kosher travelers to eat and enjoy Israeli / Middle Eastern cuisine. Please comment below and tell us why you love Tel Aviv. What spots in Tel Aviv are must sees, and where must we eat?